Congratulations! You've filed your annual report to the state and can now revel in all that you accomplished in 2018. The next step is to share your story with your community -- through presenting a summation of 2018 to your town, village, or municipality, and by letting the residents of your community know how hard you rock. 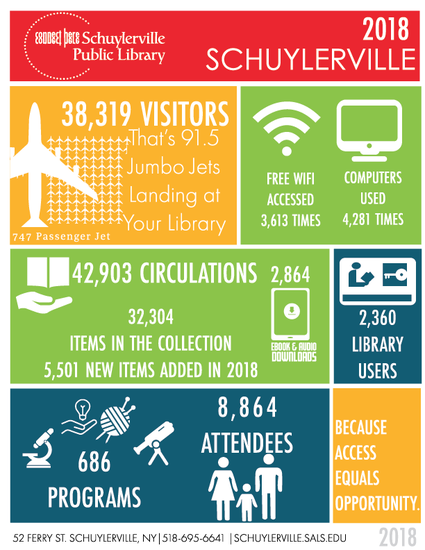 Here at SALS, we want the whole world to know about the great work being done at our member libraries, and we have the talented Jack Scott available to help create a compelling infographic (see above for the Schuylerville Public Library) for you to share on your website, in newsletters, on social media, or wherever else you'd like. Get in touch if you'd like help! 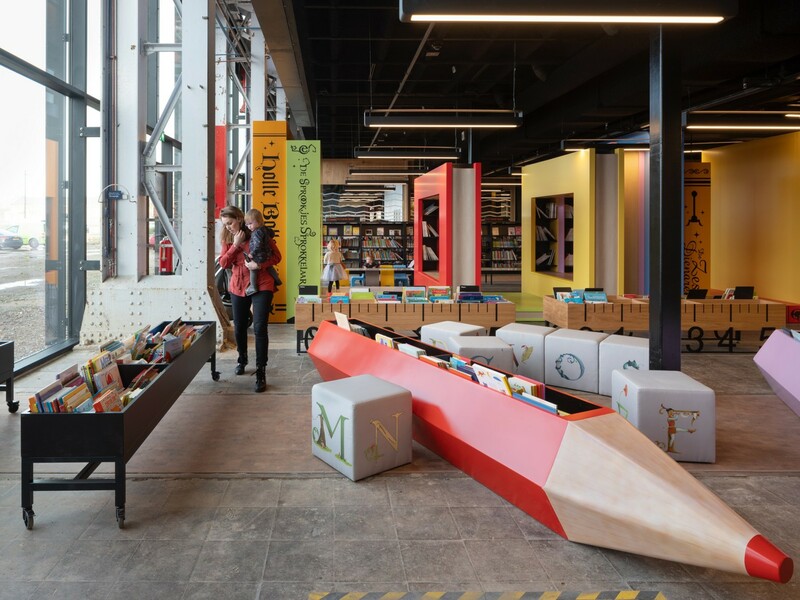 The LocHal Library in the Netherlands has repurposed a train storage shed to create a magnificent new space. It's official. A recent study shows that children who grow up in homes with 80-plus books have higher literacy scores. 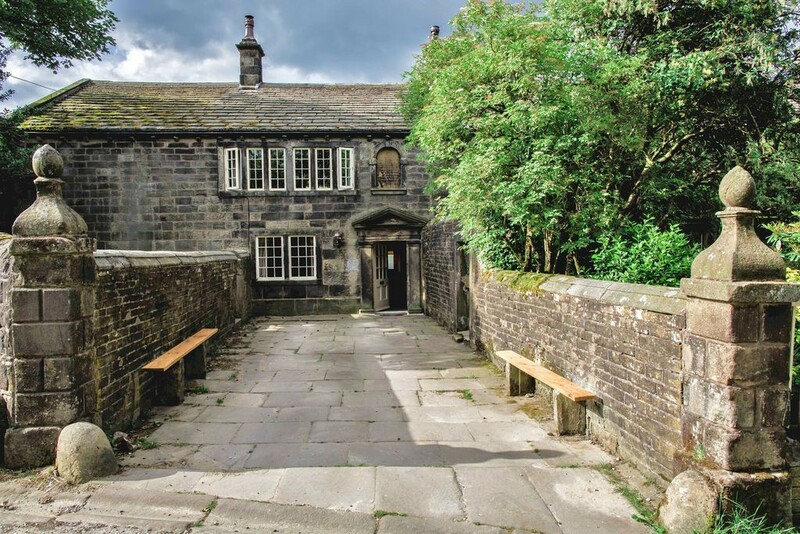 Ponden Hall, a home in West Yorkshire, England, is believed to be the inspiration for Emily Bronte's Wuthering Heights. And it's for sale! 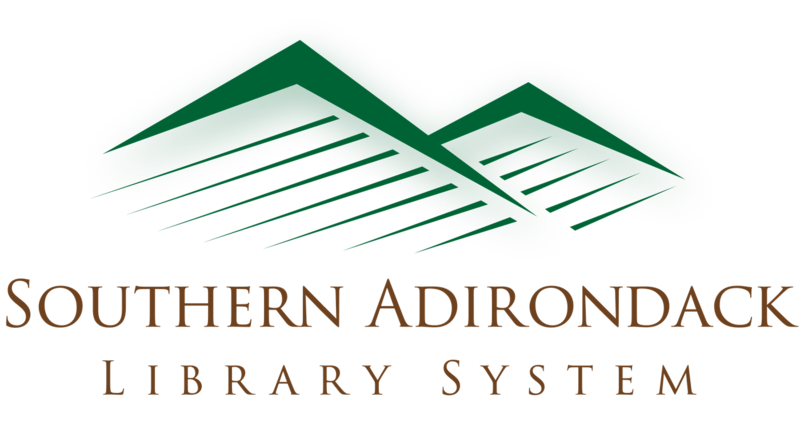 We are thrilled to announce that the Southern Adirondack Library System has been awarded the Upstart Library Innovation Award by the Public Library Association for the Fresh Food Collective Library Distribution partnership with Comfort Food Community. 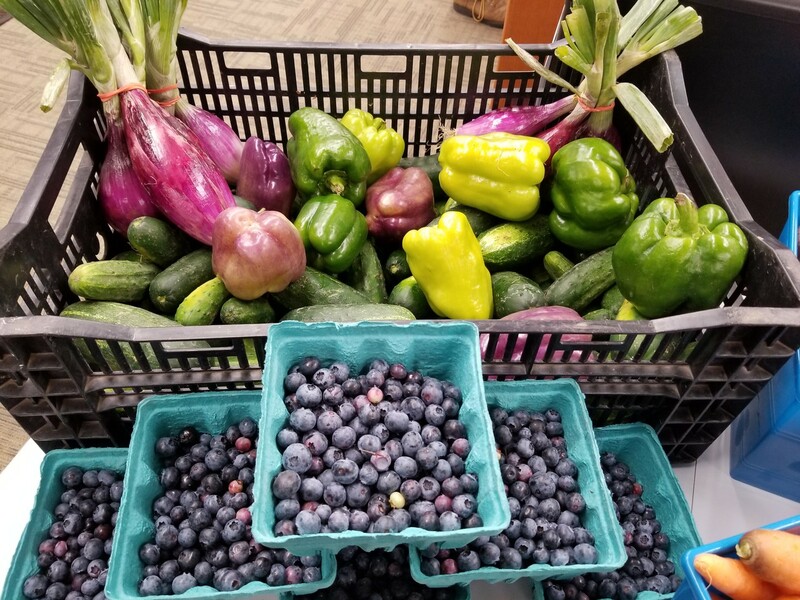 In case you don't know, the project eliminates food waste while addressing food insecurity in rural food deserts by gleaning fresh produce from local farms, and distributing it through four small, rural libraries: Argyle Free Library, Pember Library & Museum, Schuylerville Public Library, and Whitehall Free Library. The Upstart Innovation Award, sponsored by Upstart, a Demco company, recognizes a public library's innovative and creative service program to the community. We’re pleased to announce that SALS has been awarded generous funding for and is partnering with SUNY Adirondack’s Office of Continuing Education to offer a series of continuing education sessions supporting 21st Century Engagement & Communication Skills under the auspices of the SUNY Workforce Development Grant. 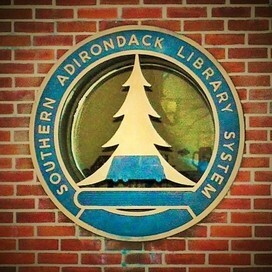 Over the next four months, 3-hour training sessions covering the above topics will be offered on different days and times in Saratoga and Queensbury locations to include as many libraries’ staff as possible. Each workshop will address daily challenges and provide information, tools, and resources to support your work. Identify the importance of customer service and engagement. 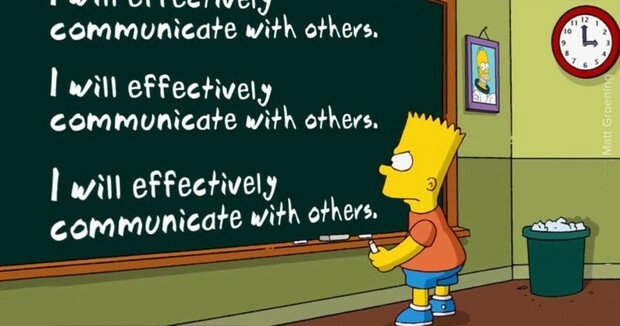 Learn to build rapport and understand the reciprocity of customer service and the importance of building on customer satisfaction and engagement. Develop the skills and techniques to win over customers no matter what the situation. Identify customer needs and wants and deliver every time – beyond expectations. Understand the difference between customer service and "above and beyond" service. Complete the registration or copy and paste this link: https://www.surveymonkey.com/r/registration_customer_service into your browser. Please register for only one of the two sessions by or before Monday, April 1st. Each session is limited to 26 participants. Once the classes fill, we will begin a waitlist. 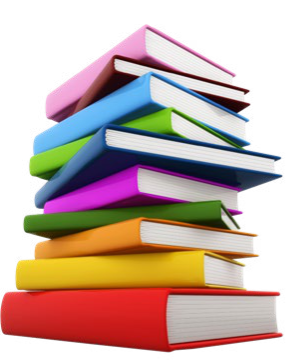 SALS committed the matching funds required to secure this considerable grant in order to offer the free, multiple workshops on a range of topics to its 34 member libraries. We look forward to supporting your professional development through this series of workshops and encourage you to take advantage of these opportunities to convene, develop, and advance your skills in critical areas, learn from each other, and strive to apply these strategies and concepts in the workplace in collaboration with your colleagues, directors, trustees, and SALS. Albany Med’s Schaffer Library of Health Sciences (SLHS) and the Division of Community Outreach and Medical Education (DivCOME) are pleased to announce the availability of their new consumer health information and community resource page. The page is designed to help consumers find a doctor, prepare for a medical appointment, find community resources, evaluate and find quality health information. As part of the page, there is a link to SALS. 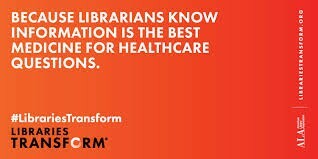 SLHS and DivCOME recommend that people visit public libraries to find health information and services. There are also free CE web-based courses targeted for health information offered by the National Networks of Libraries of Medicine. The next class, Beyond an Apple a Day, begins March 25. 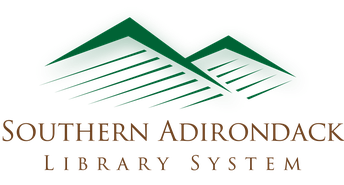 Have you launched an amazing program at your library in 2018? Here's a chance to share the story of the great work you're doing -- by applying for SALS's annual Library Program of the Year Award. Program must have been initiated during the 2018 calendar year. Any program---adult, outreach, young adult, children, community services or public relations are eligible. Selection is based on programs that have demonstrated creativity and innovation, demonstrated community partnerships, enhanced services to the community, or reached a previously unserved constituency. The program must have pursued excellence in library services and sought to have the library make a difference in the community. A program may be nominated by the library, by a community member, or by a Trustee. Nominations must be described & submitted on library letterhead and be accompanied by any supporting materials. Nominations by e-mail or fax will not be accepted. One award will be given. One program per library will be considered. SALS Library Services Committee is responsible for the selection of the award recipients. Award winners will be announced at the SALS Board Meeting on April 16, 2019. 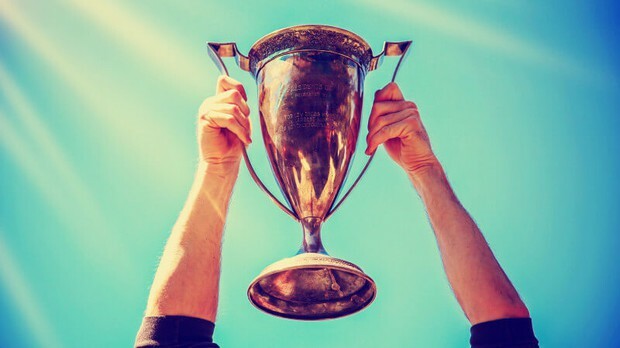 Awards will be presented at the SALS 61st Annual Meeting on May 20, 2019. Award consists of a framed certificate honoring the library’s achievements. If a representative from an award-winning library is not present at the Annual Meeting, the certificate will be given to the library's Board representative for presentation at the library's next Board Meeting. 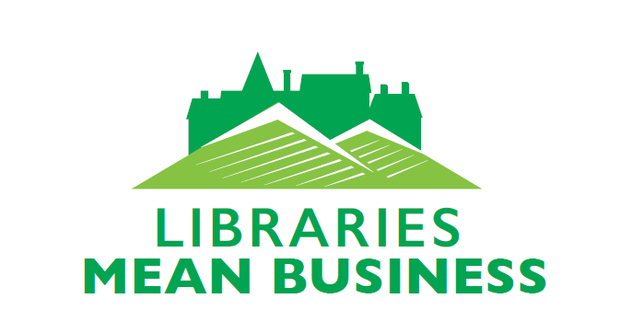 We have to admit -- our member libraries have fantastic trustees. Tell us why one of your trustees should be honored for their outstanding service, and they will be considered for the 2018 SALS' Trustee of the Year award. Member of the Board of Trustees of a SALS member library for the 2018 calendar year. Initiated service(s), program(s) or community involvement on behalf of the library. Pursued excellence in the library and sought to have the library make a difference in the community. 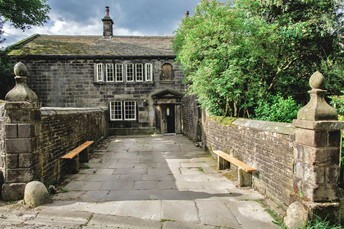 An individual may be nominated by the Library Director or a Trustee. The nomination should be submitted on library letterhead and be accompanied by any supporting materials. Nominations by e-mail or fax will not be accepted. One award will be given. One Trustee per library will be considered. SALS Personnel Committee is responsible for the selection of the award recipients. Award winners will be announced at the SALS Board Meeting on April 16, 2019. The award will be presented at the SALS 61st Annual Meeting on May 20, 2019. The award consists of a framed certificate honoring the recipient’s achievements on behalf of his/her library. 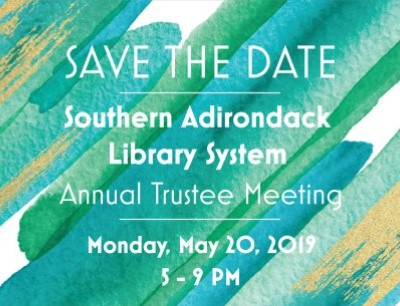 If the award recipient is not present at the Annual Meeting, the certificate will be given to the library’s Board representative for presentation at the library’s next Board meeting. Whether you struggle with adult programming or are a master at it, come to Adultprogrampalooza from 9 am to 4:30 pm Wednesday, May 8, at the Crandall Public Library for a full day of workshops, discussion and an unconference on celebrating the work we do to support lifelong learning in our communities – while having a blast. Janie Hermann (Princeton Public Library, NJ) and Mallory Arents (Darien Library), two of the best adult programming librarians in the country, and the founders of the American Library Association's Programming Librarian Interest Group will provide tips and tricks to set up a robust calendar of programs that will attract a wide range of adult – even 20-somethings! We’ll break for lunch, then resume the fun in the afternoon with an Unconference, where the topics and discussion will be determined by the participants. The day will end with Erica Freudenberger sharing her experience of creating adult programs on a tiny budget to meet the needs of a rural community. 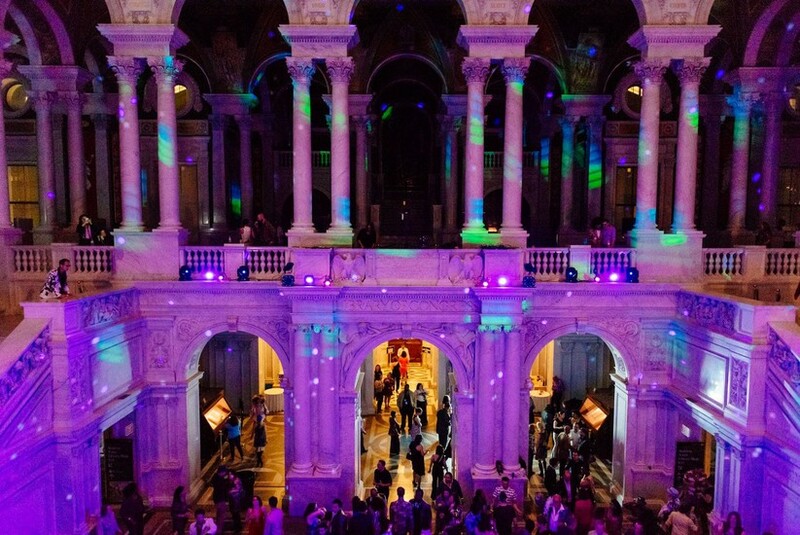 When Carla Hayden announced she was going to create an inclusive, welcoming space for the public in the Library of Congress, not everyone was on board. 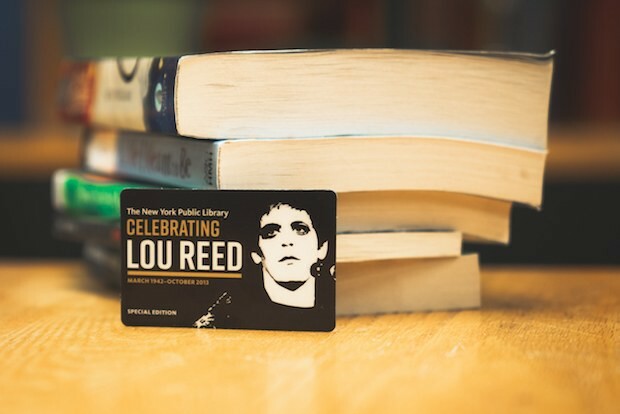 To celebrate the opening of the Lou Reed archives, the New York Public Library is offering a limited edition (only 6,000) library card. I know I've sounded the alarm about robot overlords taking over before, but it looks like my fevered dreams may have anticipated the next hot library trend -- book bots. 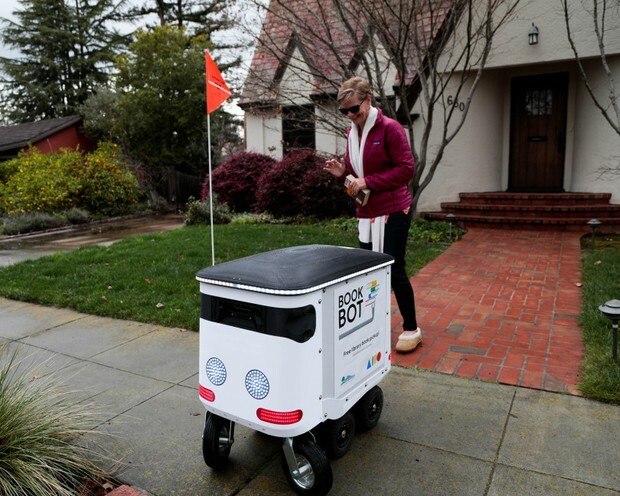 The Mountain View Public Library in Silicon Valley, California, uses its Book Bots to collect library material, without making patrons return to the library. For now, the Book Bot has a human attendant. 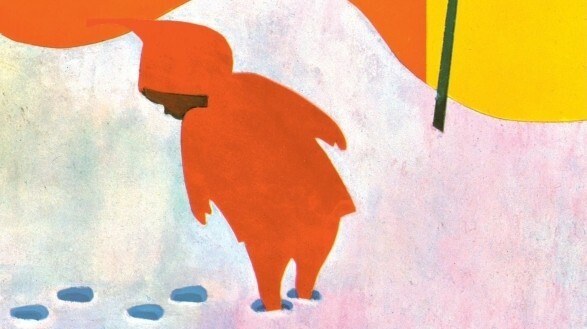 The Ezra Jack Keats Foundation has mini-grants available for public libraries providing up to $500 to support children's programming. The deadline to apply is March 31, 2019. Digitizing Hidden Special Collections and Archives: Enabling New Scholarship through Increasing Access to Unique Materials is a national grant competition administered by the Council on Library and Information Resources (CLIR) for digitizing rare and unique content in collecting institutions. 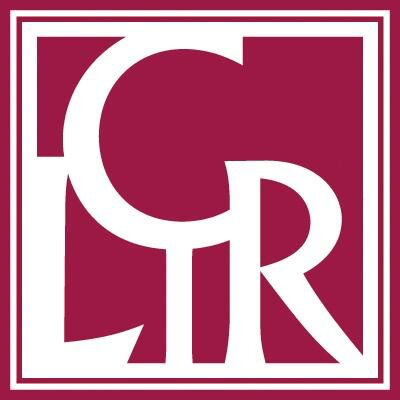 The program is generously supported by The Andrew W. Mellon Foundation and is built upon the model of CLIR's Cataloging Hidden Special Collections and Archives program (2008-2014). Applications for the 2019 cycle are due by Wednesday, April 3, 2019. It's a big task to define the library’s future over the next three or five years, and strategic planning is becoming less and less effective in a rapidly changing world. The Salt Lake City Public Library (SLCPL) has created a new approach that is flexible, staff-driven, and human-centered. SCLPL's Strategic Roadmap is not a 100-page plan in a binder-on-a-shelf; it’s an experiential learning tool that invites all staff to participate in the co-creation of meaningful outcomes and experiences for the community. The Roadmap focuses less on planning and more on building the capacity of staff to adopt a human-centered service design mindset and skillset. SLCPL staff are adopting a new perspective, continually experimenting with and adapting spaces, collections, services, programs, and their roles, to responsively address community needs and aspirations in an ever-changing landscape. Join us for this webinar to learn how to cultivate new skills to help bring the Roadmap to life for your library’s strategic planning. This one hour webinar will explore the NNLM Summer Health Programming Manual and feature librarians from the Library Moon Walk. A “walk” from Upstate New York to the Moon is approximately 238,900 miles. But that’s not stopping librarians and their patrons from giving it their best shot with the Library Moon Walk! Librarians from the Mohawk Valley, Southern Adirondack, and Upper Hudson Library Systems received funding from the National Network of Libraries of Medicine, Middle Atlantic Region to get their patrons moving, dancing, and learning about health and wellness. Learn about the Library Moon Walk from the librarians who created it.